Finally played the NieR: Automata Demo for PlayStation 4 (I know, I’m kinda late) and I found the Japanese trailer on YouTube so I am going to share the trailer and my thoughts on the demo with you. The demo was really cool and I was in awe. Truly amazing. I got to fight with 2B and 9S, destroying giant robots. 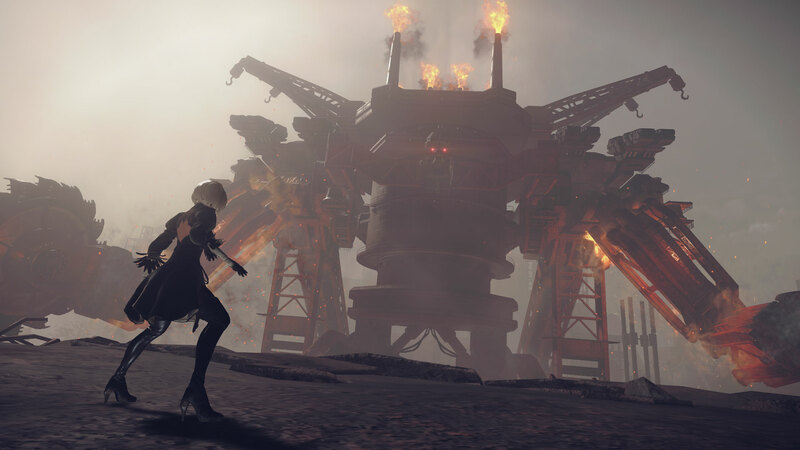 The setting is set in like a post-apocalyptic construction yard and the battles are high-speed with so much action and 2B’s movement is incredible. I was really into it. I’m so glad I got a glimpse of what this game is. If you haven’t played the demo, I recommend it and it’s free. I liked it a lot and I’m really excited for the full game’s release. NieR: Automata will be released in North America March, 7th 2017 for PlayStation 4. ← Kingdom Hearts III AND Final Fantasy VII Remake Screenshots!?! ?